The drug Bicalutamide belongs to the group of hormonal agents, the therapeutic effect of which is aimed at the destruction of cells of malignant tumors. The drug Bicalutamide is available in the form of tablets for oral use of white color, film-coated, in blisters of 14 pieces, packed in cartons. The main active ingredient of tablets is bicalutamide dosage of 50 and 150 mg. The drug is available in India. This drug belongs to the group of nonsteroidal antiandrogens, which is prescribed to patients for the treatment and suppression of the growth of tumor processes in the prostate gland. 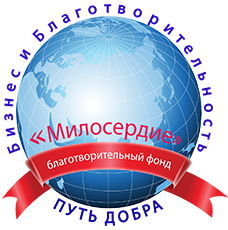 As a maintenance therapy in the presence of contraindications to surgery or oncological process that is too advanced. The active ingredient of the drug can somewhat reduce the rate of growth and progression of the tumor. This drug is most effective, provided that the disease is detected in the early stages, even before the onset of clinical symptoms. When diagnosed with prostate cancer 3 and 4 stages of the drug only reduces aggression and progressive growth of the tumor focus. The drug is not used to treat women and children. Tablets are intended for ingestion. Depending on the dosage of the drug and the diagnosis, patients are prescribed medication 1 time per day or 3 times. Tablets should be taken an hour before meals or 1 hour after meals, without chewing and drinking plenty of fluids. Drug treatment is quite long, at least up to 2 years, but everything is strictly individual and depends on the evidence. Patients who need a prophylactic course of treatment after surgery on the prostate need only 50 mg of the drug per day. The duration of therapy is determined in this case by the doctor. Patients who have begun to progress to the tumor and there is a deterioration in the general condition while taking the medication, the treatment should be stopped and consult a doctor. The development of heart failure. Cases of drug overdose in medicine is not described. With the appearance of pronounced side effects, the patient should consult a doctor, perhaps a specialist will slightly reduce the dose or select an analogue of the drug. The drug Bicalutamide with extreme caution prescribed to patients simultaneously with calcium channel blockers, since the use of both drugs can lead to the development of side effects. During the period of treatment with this drug, patients are not prescribed cisapride, terfenadine, astemizole. Patients with impaired liver function, the drug is prescribed with caution. During treatment with bicalutamide, the state of the liver and the level of hepatic transaminases in the blood serum should be periodically monitored. With the development of any abnormalities or progression of liver failure, treatment with this drug should be stopped immediately. If necessary, treatment with bikalutamidom and simultaneous use of coumarin anticoagulants, patients need to constantly monitor the blood clotting time and prothrombin time. This drug is intended solely for the treatment of male patients. Children, adolescents under 18 years old, pregnant women and nursing mothers are not prescribed this drug! During treatment with bicalutamide, patients need to temporarily abandon driving vehicles or controlling complex mechanisms. The main active ingredient of the drug inhibits the reaction rate of the patient. Means Bicalutamid dispensed in pharmacies by prescription of a physician. Tablets should be stored in a cool, dark place out of the reach of children. The shelf life of tablets is 2 years from the date of manufacture, indicated on the carton. After this period, the drug can not be taken orally. 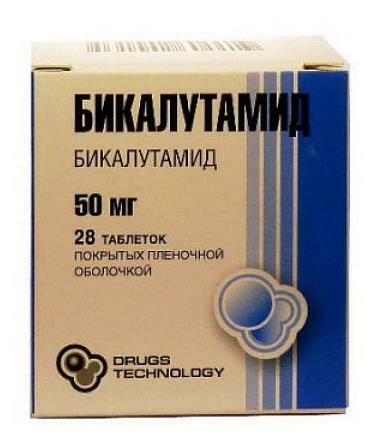 Bicalutamide tablets 50mg, 28 pcs. - from 750 to 870 rubles. Bicalutamide tablets 150mg, 28 pcs. - from 1600 to 1750 rubles.